On the occasion of the 21st anniversary, impress your partner or loved ones with an exciting and heartfelt gift. Here are some of the themes linked with this year of marriage so that you can mix and match to generate a present that is sure to be cherished. There are two themes linked with the 21st anniversary - brass and nickel, two metals. 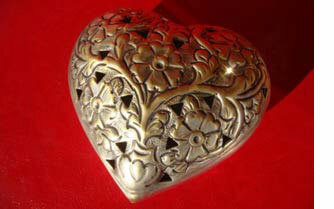 Brass is known to be durable and signifies natural goodness, reflecting all that is good within a marriage. Nickel is a symbol for emotional wellbeing within the union of marital bliss.